Carpet owners, these days, don’t need to worry as there is several professional carpet cleaning companies in Dekalb, IL which have been established. It is good to note that carpets and rugs need to be cleaned by a professional using a well defined approach of cleaning. Therefore, when choosing a carpet cleaning company in Dekalb, IL, it is important to research and find out what you need to check out for. As a customer, do not be afraid to ask questions and look for information which you believe will enable you to make the right decision. Though there are many companies operating in this industry, not all of them offer the same kind of service. You need to go for the best rug cleaning service in Dekalb, IL which will clean to your expectations. You should never choose a service whose professional background and expertise you cannot ascertain. Using the internet, you can research and try to find out the most established companies within your locality. Nowadays, most cleaning enterprises have websites; therefore, you should use the information on these online platforms to make your own judgment based on the information provided. Professionalism entails use of modern equipment as well as trained cleaners with enough knowledge and expertise to deal with various types of carpets and rugs. It is also wise to try and establish the certifications of a cleaning company. Top and well known cleaning services such as Clean USA Carpet Cleaning Dekalb IL have managed to obtain professional certifications and recognition to prove their level of competency. This is important for clients as this is enough proof to show that the company is well established and, therefore, has the professional capability and expertise needed. Carpet cleaning companies such as Clean USA Carpet Cleaning Dekalb IL always insist on a home inspection before providing a quote for the cleaning service. You should avoid dealing with carpet cleaning services which give you quotes on the internet or quotes on the phone without first verifying the status and condition of the carpets and rugs. Companies which carry out home inspection services are always a better bet as customers are sure that accurate quotes will be provided. 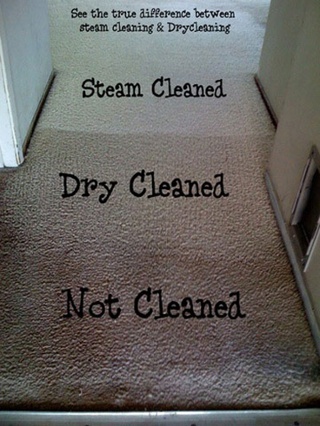 You should always ask about the cleaning approach which will be used to clean your carpet and rugs. In most cases, vacuuming should be done before a deep clean is carried out as this ensures that the best results are achieved. As a client, you should also try to familiarize yourself with the cleaning process. This is important as it can enable you to check whether the quality of service provided is satisfying or not. Different Rug cleaning companies offer various quotes. Carpet owners should make sure that services provided offer full value for their money. When you come across an expensive quote, you should always try to determine why the cost is higher compared to others.